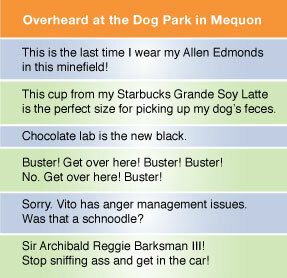 Mequon’s one and only dog park is so popular, there’s a lot of talk about the city creating another one. In the meantime, TMN has been recording some of the chatter at a crowded Carpenter Park. Thanks for posting, I truly liked reading your newest post. I think you should post more frequently, you clearly have natural ability for blogging!